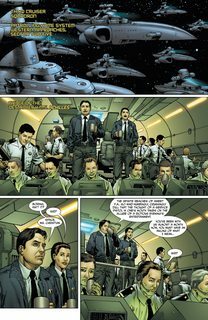 Dan Dare #1 – 7 (2014-2015) : Dan Dare was once a hero. He brokered peace with alien races, pushed the frontiers of space, and saved the planet from total annihilation… repeatedly. But now, his Space Fleet has disbanded, the United Nations has crumbled, his friends scattered to the solar winds. Britain is once again the world power, but Dare, disillusioned and disappointed in his once-precious home country, has quietly retired. But there’s trouble mustering in Deep Space. The H.M.S. Achilles is picking up strange signals when, suddenly, an enormous fleet of hostile ships ambushes the destroyer. As the crew struggles to stay alive, they realize with horror that the hostiles have brought a weapon of unimaginable power. 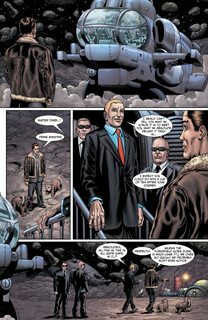 Dan Dare, pilot of the future, has been called out of retirement!